Our Festival Coverage over at FPT is quickly getting more and more comprehensive, and from August 24-26, we'll be heading up to northern Wisconsin to cover Summer Set Festival. Now, I know what you're thinking, or at least somewhat close to what you might be thinking: "What the hell kind of festival could be held in NORTHERN WISCONSIN??" Well, you might be surprised by the draw of Summer Set Fest this year. Based in the beautiful town of Somerset, WI (get it? ), the Summer Set Festival offers attendees an entire weekend of fun, including camping, tubing down the "lazy river," after parties, and a boat load of talented artists day-in and day-out. Below you will find some of the best acts the festival will be offering patrons an opportunity to check out, including a couple that I am unbelievably geeked to see. 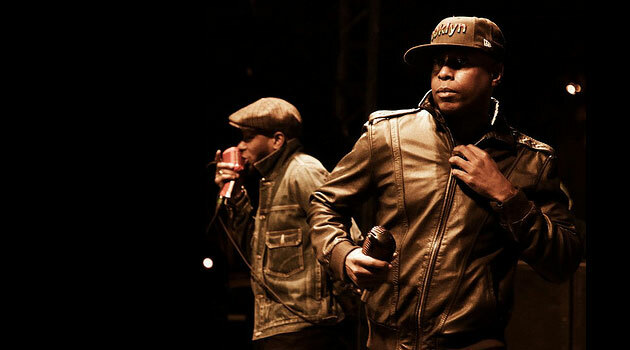 That's right, the dynamic duo/supergroup of MCs Talib Kweli and Mos Def will bring their talents to northern Wisco. They've been on a festival tour this year, reuniting for some shows throughout the world, including stops in Norway, Sweden, and this year's Bonnaroo festival. Performing genuine hip-hop music without the flash of gold teeth and go-go dancers, focusing more on lyrical ability and fantastic beat structures. I have loved this group since the early 2000s, and am more than excited to finally see these guys live. 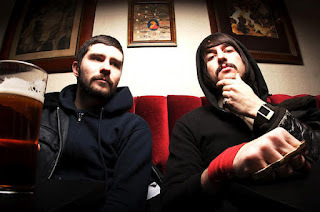 Ever since the demise of one of my favorite bands of all time, Death From Above 1979, MSTRKRFT is the closest I can come (this summer) to seeing my favorite electro-grind-core band. And this duo is fantastic live. On the surface, the duo appears to be nothing special, just a duo of DJs pumping heavy bass and grinding, screeching effects in to your head. But the structure of their songs and build of heavy notes is sure to get crowds moving. Look for me to showcase my reel of dance moves during this set. 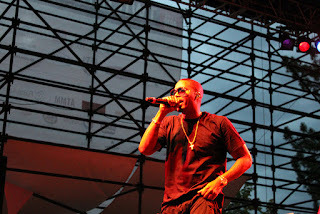 Another huge hip hop act that has been known to bring his A-Game live. Again, I've been a fan of Nas' for as long as I've appreciated hip-hop, known more for his lyrical talent than his glitz and glamour. 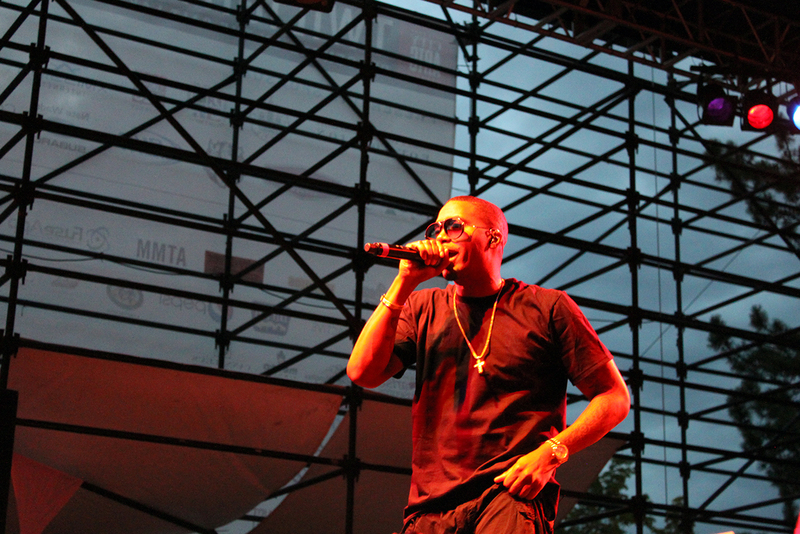 Hopefully Nas will bring his best in order to entertain the EDM crowd that will pack the amphitheater. The unrivaled poppy indie rock group will be a great time, no doubt about it. However, in another case of "Blame it on the Scheduling," the ultimate downfall of music festivals, Matt & Kim are scheduled during MSTRKRFT's set. So even though I will only be able to catch some of their set, I'm sure I'll be smiling the entire time. Somehow, these veteran experimental indie rockers are still flying under a lot of people's radar. They have a great following here in the Midwest, being from Minneapolis, so I can assure you the crowd will pack in for this spectacle of a live show. I am unfamiliar with Break Science, but RJD2 have been heavy hitters in the electronic scene for quite some time. They're the first act of the weekend, so get there early kids, you won't want to miss this act. I hate to admit it. I'll be buying in to the hype of Pretty Lights' this weekend. It's difficult to say who came first in the EDM scene, bringing the genre to the peak that it's been at lately, but I am comfortable saying that Pretty Lights has definitely been at the helm of the craze. Needless to say, they'll be an act worth checking out, if nothing else, for the craziness of the crowd. **sigh** I will admit that I've seen these guys before... multiple times. And I will also admit that they put on a pretty good show. Comprised of Notre Dame Music Program alumni, UM is incredibly good at what they do, even if it isn't always for me. Once again, I hear these guys put on a great show, and coupled with a "crazy" light show, the crowd will be reason enough for me to see this Indiana-based band. Also, Fake Plastic Tunes will be pairing up with the Weekend Natives crew all weekend long, so keep an eye out for both groups during the Official After Shows into the wee hours of the morning. Get your photo taken in the renowned Weekend Natives photo booths, and have some fun with us! If you don't know Weekend Natives, you're in for a surprise and a hell of a good time. Keep in mind: Summer Set Festival is NOT SOLD OUT (YET)! You can buy tickets here, and at around $50 a day, it's a whole lot of bang for your buck! You can find more information on the festival by clicking the official links below!